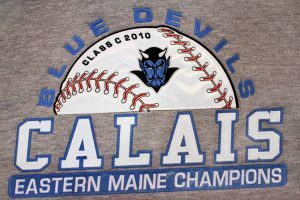 One of the biggest markets that an embroidery laser is best suited for is team uniforms and spiritwear. With a laser, you can incrementally speed up your production of lettering and number of team uniforms as well as create multimedia spiritwear combining applique with embroidery. You also can offer many unique looks such as multilayer, kiss cutting and reverse applique. The laser gives you a cutting edge that allows you to offer decorating services your competitors can’t and with the time savings, you’ll be able to turn around orders more quickly and service a greater number of customers.